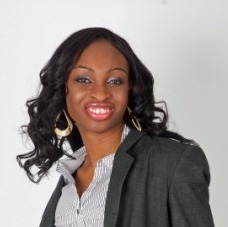 Born in Ekiti, Nigeria and raised by foster parents in the town of Lowestoft England, Ola Orekumrin is the founder of Flying Doctors of Nigeria, West Africa’s first air balance service. It is a social enterprise ensuring urgent air ambulances to leading health institutions, insurance companies and private individuals throughout West Africa. Ola’s decision to create the enterprise from the death of her 12 year-old biological sister, who suffered from sickle cell anaemia. Her sister was visiting Nigeria with relatives when she fell seriously ill. She needed urgent care, so Ola and her family searched for the nearest ambulance service. However, they were unable to find one in the entirety of West Africa. The closest one was in South Africa and required a 12-hour activation time. Sadly, by the time they were ready, Ola’s sister had died. In terms of the challenges she is still facing, Ola confesses that the aviation business is very expensive and keeping costs down is difficult, while stressing that red tape and bureaucracy also pose a constant problem. Despite any existing obstacles, Ola is determined to fully reform the Nigerian healthcare system. Even prior to creating her successful business, Ola had already made history by becoming one of the youngest doctors in the UK, as she graduated university at the tender age of 21. In 2008, she received the important MEXT Japanese Government Scholarship and produced ground-breaking research in the field of regenerative medicine through her work with induced and pluripotent stem cells. She has also published a book as well as multiple articles for high-profile medical journals. In 2012, Ola became a recipient of the ThisDay Awards, while the World Economic Forum selected her as one of the Young Global Leaders class of 2013, a group aimed at comprising some of the current top leaders under the age of 40.